In this article we installed jgmenu and talked about this new menu called jgmenu coming from this github. We can add this menu as well to polybar. 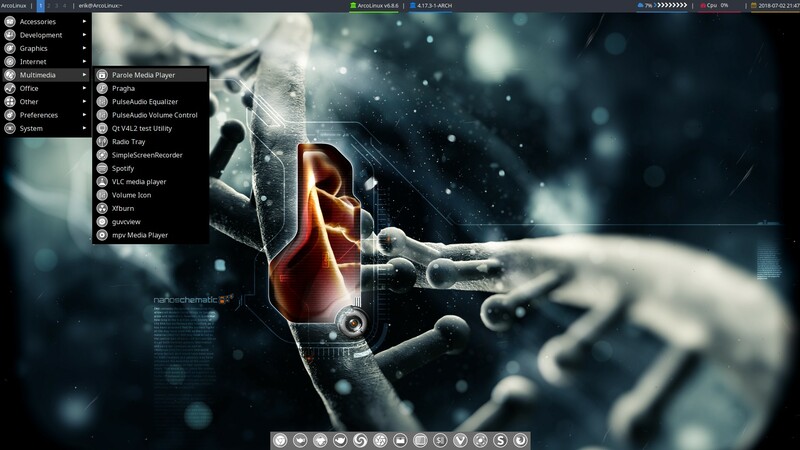 Polybar is an alternative menu you can use on Openbox, i3, Bspwm and so many more. We will now show you how to get this jgmenu in your polbar on Openbox. With that knowledge you can do it on i3 and Bspwm later as well. install polybar and use all cores to install faster. Change from tint2 to polybar in Openbox. Add jgmenu to Polybar config – Openbox mainbar.